In our rapidly evolving landscape, networks must deliver more services and carry ever-higher volumes of multiprotocol traffic as data rates soar. Voice, data, and streaming video now travel on one wire, raising many security and compliance issues. All of this dynamic activity calls for inline monitoring and security tools to assess every packet and thwart incoming threats before they can manifest and do their damage. Inline monitoring has proven to be the most effective approach to network security, with its ability to actually prevent, rather than merely react to a crisis. Inline devices include Intrusion Prevention Systems (IPSs), firewalls, Data Loss Prevention Systems (DLPSs), and others. These devices can, however, actually become points of failure themselves. Although inline tools offer redundancy and other protections, they must be taken offline for upgrades and scheduled (or unscheduled) maintenance. Further, if a tool loses power or is overprovisioned, the network link can break and traffic cease to flow. 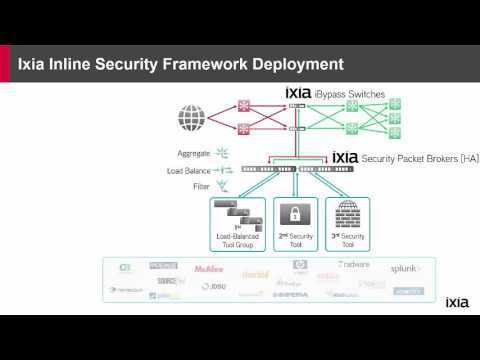 Ixia Net Optics Bypass Switches provide fail-safe Inline protection for your security and monitoring tools. A heartbeat packet protects the network link from application, link, and power failure. If a packet doesn’t return, the Switch instantly goes into bypass mode and takes that appliance out of the traffic path. With support for 10Mbps to 40Gbps connectivity, we provide automated failover protection on full duplex traffic streams connected to the monitoring tools. Because the Bypass Switch is passive, link traffic continues to flow even if the Bypass itself loses power. Our robust bypass capabilities ensure inline availability and continuity, enabling Ixia to offer you a higher degree of business continuity and network health. Find out more about how our cost-effective inline approach extends the availability and security of your network.